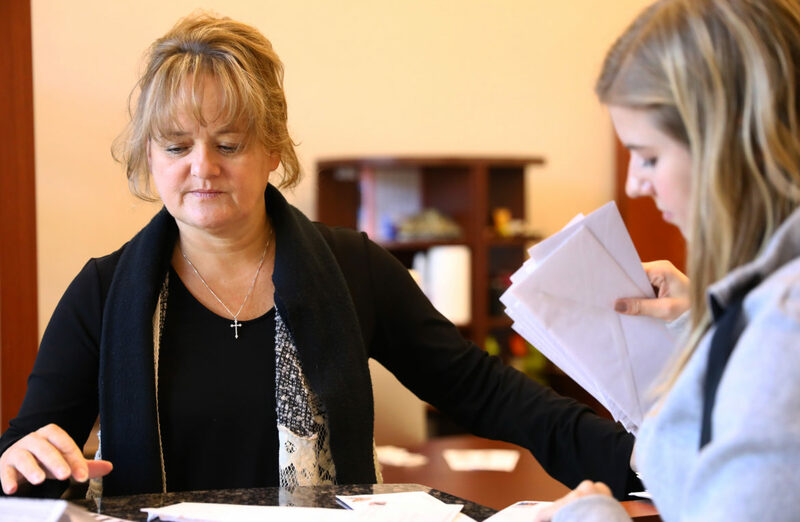 Nurse Debra Zuhse-Green was stunned to learn the state of Wisconsin wanted her to repay $57,000 she had received for providing home care to children with significant medical needs. An audit conducted in 2013 concluded Zuhse-Green should repay the state for six months of care to the children, who had complex health needs. The audit found she had not submitted claims for reimbursement to the family’s employer-based health plans — even though, Zuhse-Green said, "it had previously been established that the employer-based health plans would not cover the private duty nursing services." Zuhse-Green said the problem was caused by her failure to check a specific box in the state’s electronic claim system — which she described as a "glitch in their system" — that led to the claims not being filed. "(The state) is putting a hardship on us, expecting perfection," said Zuhse-Green, of Greenleaf. "It’s very unfair." During his eight years in office, Republican Gov. 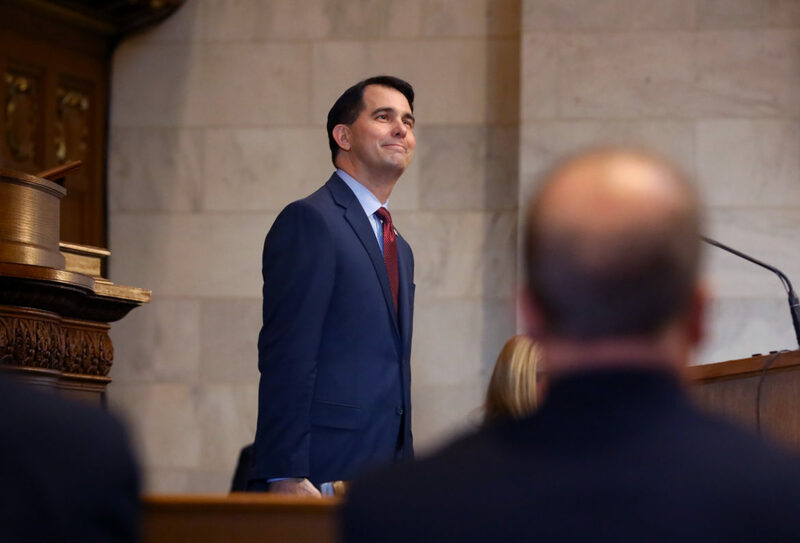 Scott Walker has touted Wisconsin’s efforts to root out fraud, saying that as of 2017, the state had identified $150 million  in Medicaid and FoodShare fraud and overpayments. However, critics contend the state has gone too far in some cases, seeking to take back huge sums of money from companies and individuals who provided health care services but had minor paperwork errors. Messages left with Evers’ transition staff were not returned. Gillian Drummond, a spokeswoman for Kaul, said, "We’re not going to be able to answer that question before taking office (Jan. 7)." "It’s not fraud," Knapp said. "It’s a simple mistake." A recent court ruling  raises questions about whether such mistakes will continue to be costly for Medicaid service providers. The Wisconsin Court of Appeals in June rejected DHS’s efforts to recoup money from the family planning organization Newcap Inc., saying the state did not require the clinic to keep the specific records DHS was now requesting. But the appeals panel also found that the agency could seek reimbursement if the provider fails to keep required records, even if "other records … show the provider actually rendered the services in question." 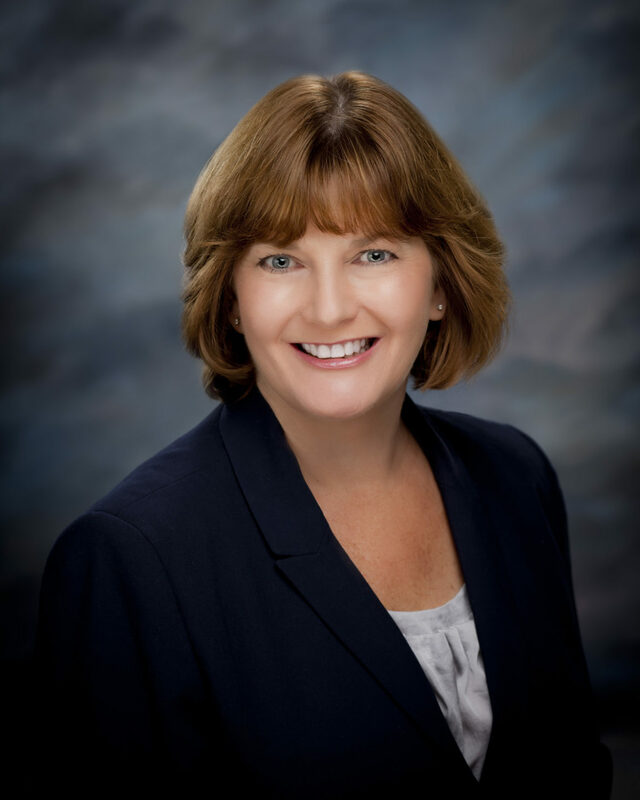 In a similar case in 2016, Waukesha County Circuit Judge Kathryn Foster ordered the state DHS to stop demanding repayment  from Medicaid-certified providers who provided services but who may have failed the department’s "perfection rule" standard. In 2017, after the department continued to seek repayment from providers even when services were provided, Foster reiterated her earlier instructions  and ordered DHS to repay plaintiff Kathleen Papa more than $25,000 in costs and legal fees. Papa is past president of Professional Homecare Providers, an association of independent nurses, and owner of KPI, Inc., a home health care services company in Oconomowoc. In some cases, the state has demanded repayment in excess of $100,000 from individual nurses, according to the lawsuit filed by Papa and PHP . The lawsuit included affidavits  from seven providers and two parents describing the state’s efforts to take back tens of thousands of dollars even though the billed services were provided. Papa described the agency’s tactics as "bullying." DHS spokeswoman Jennifer Miller countered that, "There have never been any reports … that any of our auditors have behaved unprofessionally or have bullied anyone." Whether the appeals court ruling in the Newcap case will affect cases such as Papa’s is the "$64,000 question," said Diane Welsh, a Madison attorney who represents Papa and other Medicaid providers challenging these enforcement actions. "The state's position is not only can they recoup for the five minutes it possibly took the nurse to get the vitamin D out of the bottle and hand it to the recipient to take it with water, they're allowed to recoup the entire day because one error was made," Papa said. "And if that vitamin D was given every day for the entire year, their position is they can take back every second of every day for the entire year." The state has appealed  Foster’s decision in the Papa case, arguing it interferes with its obligations to recover "improper" payments and that Papa lacks legal standing to bring the lawsuit. In a brief, the state claims the federal government could revoke part or all of its Medicaid funding  if it failed to strictly enforce the rules. Welsh — former chief legal counsel for the state DHS — said there is no evidence that the government has ever taken such a severe action against any state. She labeled the agency’s claim "far-fetched ." The powerful Wisconsin Manufacturers and Commerce business group, in partnership with the Wisconsin Personal Services Association, has weighed in with a friend of the court brief , arguing DHS is driving home health care providers out of business. Such clawbacks can "push a business or family entrepreneur into bankruptcy, many years after a provider believes it has delivered services compliant under existing statutes and administrative rules," the groups argued. Parent Susan Haidlinger, who has three children in need of daily care, said three nurses quit because of concerns over the DHS audits. After they left, for a year and a half, Haidlinger, herself a nurse, sometimes had to leave work to take care of the children. Zuhse-Green was one of the nurses who stayed. She did a "wonderful" job, Haidlinger said. "It was a nightmare," said Haidlinger, who has been a foster mother to dozens of children with significant medical needs for more than 30 years. "It’s still difficult to try to find nurses because the pay is lower than working in a facility, with no benefits offered for independent nursing." Knapp said she believes the state’s recovery efforts should be limited "to instances where care was not provided or when a provider submits an inappropriate claim." She added that such "punitive" audits based on clerical errors are "driving dedicated caregivers out of the profession and directly threatening the ability of people with disabilities and older adults to receive care in their homes." In July 2017, the state DHS’ anti-fraud push suffered another blow. The department dropped its three-year, $16 million contract  aimed at reducing costs and detecting fraud in personal care claims. According to the agency, the state had paid Liberty Healthcare Corp. $3.8 million but decided to end the contract early because spending on personal care services already was on the decline — from $273 million in fiscal year 2014 to $255 million in 2017. "The contract ended before any information could be used to determine outcomes for the program," DHS said in a statement. A statement from Liberty Healthcare said the decision to end the contract was "mutually agreed to." As for what work was done for $3.8 million, "Liberty defers to the state to provide information about work done under the contract that is beyond the DHS statement," the company’s said. "Liberty was compensated according to terms of the contract." Knapp said as far as providers could determine, Liberty’s efforts "never got off the ground." Papa noted the irony of DHS trying to take back the earnings of health care workers who have provided the services they billed for while allowing a company to walk away with millions of dollars and little to show for it. "We're trying to help the state. We're trying to help the governor with preventing fraud, waste and abuse," Papa said. "But we're just not getting any cooperation. And Liberty? Over $3 million of nothing." In addition to ensuring care reimbursed by Medicaid is medically necessary, OIG reviews services such as bariatric surgery or private nursing care before authorizing it. OIG has identified personal care services as one of the benefits most vulnerable to fraud. Prosecutions of the most serious cases are handled by the Medicaid Fraud Control and Elder Abuse Unit in the state Department of Justice. The unit is composed of 13 staff including three attorneys, eight investigators and two paraprofessionals. Since 2012, the inspector general’s office has referred more than 160 Medicaid providers to the DOJ for possible prosecution, according to a 2017 report , the most recent available. Between July 1, 2012 and June 30, 2015, the DOJ’s Medicaid unit reported 24 criminal convictions and 24 civil judgments and settlements totaling $137 million, according to a federal onsite review published in 2017  by the U.S. Department of Health and Human Services’ Office of Inspector General. In 2015-16, there were seven criminal convictions and 18 civil settlements totaling $80.9 million, the unit reported. For example, in 2011, the state prosecuted providers who submitted claims for orthotic devices, including neck, back and leg-and-ankle braces that were never received by patients . The providers were sentenced from two years of probation to six years in prison and ordered to pay $1.5 million in restitution. The DOJ also prosecuted Linda J. Turner, a certified Medicaid nurse who claimed she regularly visited a disabled child after surgery in 2013. But instead of providing any nursing services, Turner just pocketed the payments. In all, Turner billed 873 hours and received $28,538 for services not rendered, the state Department of Justice  said. In announcing the case against Turner, Schimel said DOJ is "committed to investigating and aggressively prosecuting these acts of fraud and abuse," adding, "We cannot allow criminals to steal hard-earned tax dollars from the safety net established to help our most vulnerable citizens." The Charlotte Lozier Institute, a pro-life think tank based in Washington, D.C., last year released a report  documenting what it called widespread "waste, abuse and potential fraud" at family planning clinics across the country. The state’s efforts to collect from one of Wisconsin’s family planning clinics for alleged fraud, however, was stymied. In a decision issued in May 2017 , an Oconto County judge halted the effort to recoup $185,000 from Newcap, which provides family planning services. The OIG alleged Newcap, which operates in northeastern Wisconsin, had failed to document that prescriptions billed to Medicaid had been used by patients. The state Court of Appeals upheld that decision in mid-June, finding that DHS’ attempts to recoup the money in that case were improper . But the panel also found that the agency does have the right to take back payments for lack of proper documentation — even if the services were rendered. In 2016, OIG audits  identified another eight family planning clinics including First Choice Women’s Health, Options in Reproductive Care and Planned Parenthood of Wisconsin, alleging they overbilled Medicaid by nearly 50 percent based on a sample of billings reviewed in 2014. Lawmakers are not giving up. The 2017-19 state budget includes a provision requiring the state to audit all family planning organizations going back four years, an effort that has already begun. Welsh said she hopes the new administration will refocus its efforts on "real" Medicaid fraud. "We think fraud should be investigated — not imperfect documentation," Welsh said. "Hopefully that will change." Cara Lombardo contributed to this story, which was produced as part of an investigative reporting class in the University of Wisconsin-Madison School of Journalism and Mass Communication under the direction of Hall, the Wisconsin Center for Investigative Journalism’s managing editor. The Center’s collaborations with journalism students are funded in part by the Ira and Ineva Reilly Baldwin Wisconsin Idea Endowment at UW-Madison. The nonprofit Center (www.WisconsinWatch.org ) collaborates with Wisconsin Public Radio, Wisconsin Public Television, other news media and the UW-Madison journalism school. All works created, published, posted or disseminated by the Center do not necessarily reflect the views or opinions of UW-Madison or any of its affiliates.